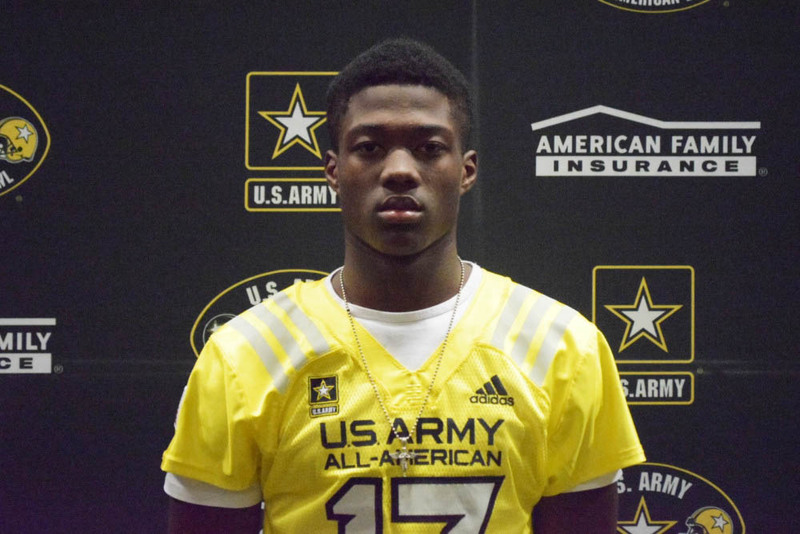 LANCASTER—Omar Manning from Lancaster High School received his honorary jersey to the U.S. Army All-American Bowl on Tuesday when the Selection Tour came to his school. “I’m blessed and honored to represent my country in the U.S. Army All-American Game,” Manning said. Only the top 100 players from more than one million football players across the country, receive an invitation to take the field. The field of all the senior football players was dropped down to the 300 players before it was taken to the top 100 in the nation. The culling process was done by a panel. They compared all the players on film and in person. Besides their ability on the field, they also looked at what type of character each player had off the field and with their team. Selection committee members described Omar Manning as a big outside receiver who is an impressive downfield threat with good speed. With his tall frame, he boasts good hands, quickness and a long stride enabling him to cover ground quickly. He is a dangerous red-zone weapon thanks to his size and leaping ability. Manning is really good at adjusting mid-air to make plays on the ball. Through five games for Lancaster (4-1), Manning has four touchdowns on 18 receptions for 312 yards. Omar Manning finds himself in good company as an All-American. Some of the great collegiate and professional players that played in the All-American Bowl game included 330 NFL picks. There were 77 first rounders, with two Heisman Trophy winners (Florida’s Tim Tebow and Alabama’s Derrick Henry). NFL greats Odell Beckham Jr., Zach Miller and Jamaal Charles also played in the bowl. Manning is listed as the No. 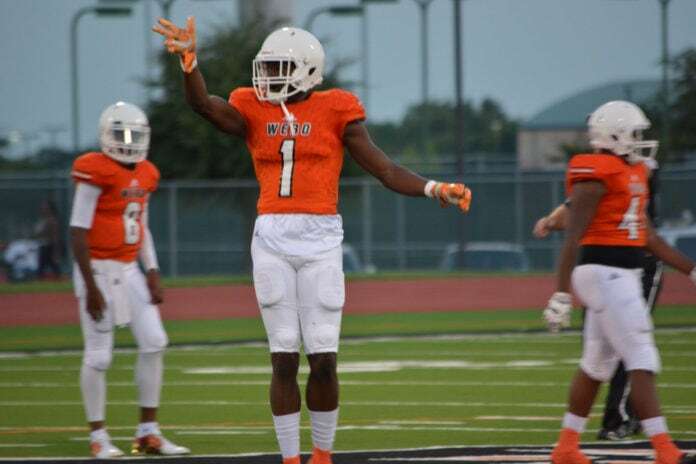 22 wide receiver in the nation and #1 in the state of Texas. While uncommitted to a post-secondary school, he has 33 reported FBS offers. Inside sources say that UT-Austin has been courting him pretty hard within the last couple weeks.